I have mentioned this in many of my skin care posts but I get terrible and painful breakouts, known as nodules and cysts which stick around for at least 3 weeks before they even start to go away. 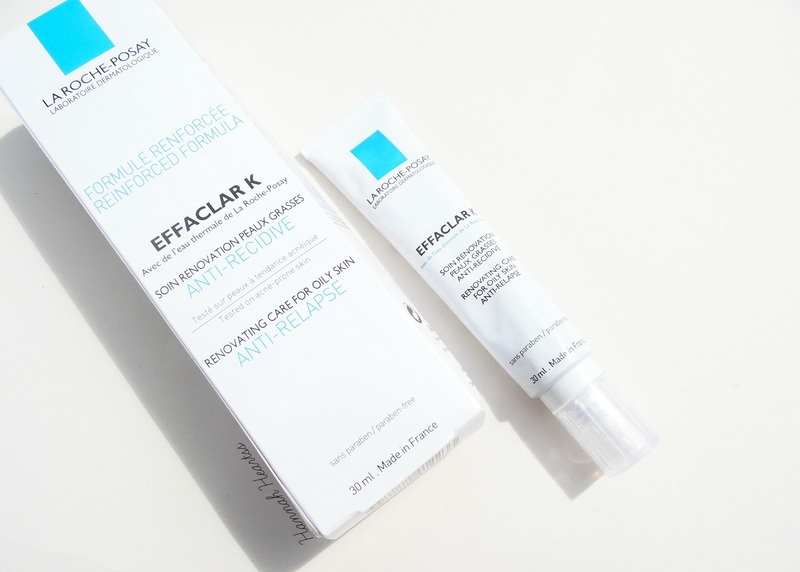 La Roche Posay is one of my favourite brands when it comes to skincare and I can't believe I have never tried the Effaclar K* before now - it is a god send! The La Roche Posay Effaclar K is designed to transform the texture of imperfection-prone skin and help clear clogged pores which results in uneven skin texture. This product is a daily renewal fluid which will also help keep your skin hydrated and is designed to be used both morning and evening. 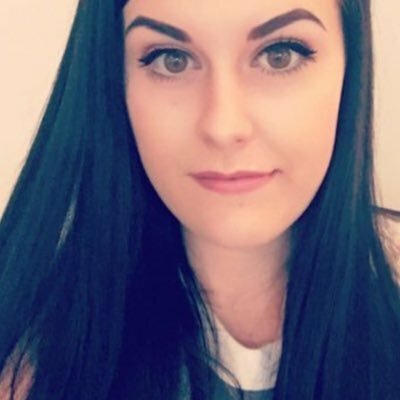 I only really applied it to the areas on my face where my squinting is particularly uneven and where I have all of my painful breakouts. The product itself comes in a mental type tube with a small applicator to apply the product to the skin. Be careful when squeezing out the product as you can end up getting far too much and damaging the tube which can result in it leaking. Because this product is designed to unclog pores it is perfect for getting rid of my big breakouts/acne. As you can see from the before picture my skin is very red, uneven and you can see one of the painful breakouts I mentioned. 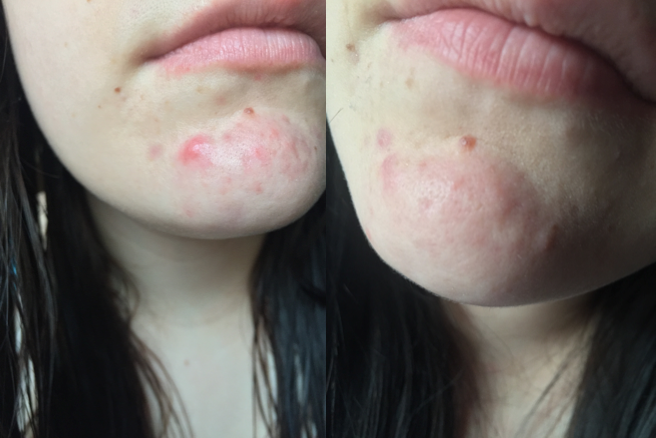 My skin has pretty much always been like this, I have had it under control for a while but then I get lazy and stop using the products that help keep my skin clear so it is pretty much my own fault really. The after picture was taken around 10 days after I started using the Effaclar K morning and night daily. From the first day of using this product I started to notice a difference in my skin. The redness was reduced more and more each day and my skin is so smooth since using this. My skin especially on my skin has always been quite bumpy from previous breakouts and that has improved massively. I have also noticed that my pores are so much clearer which makes my foundation apply so much more flawlessly. I would have never thought to try this on my breakouts but it is one of the only products that will actually help get them gone quicker. The before picture was actually quite good for how bad those breakouts can get and it made a massive difference within just a few days and I will definitely continue to use this as part of my skincare routine. The La Roche Posay Effaclar K retails for £14.90 - link.